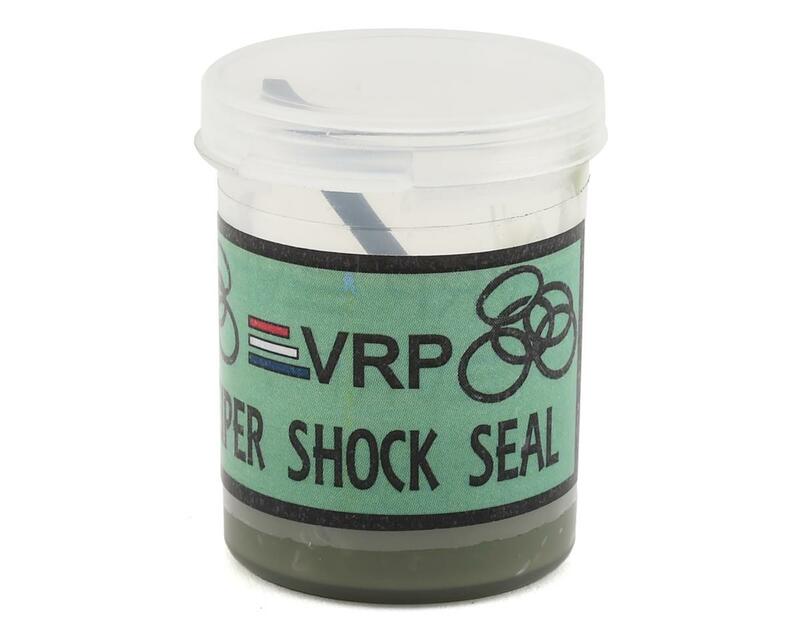 VRP Super Shock Seal O-Ring Grease is great for your shock and diff o-rings. Apply a small amount to extend the lifespan of your o-rings. Comes in a handy pop top storage container along with stir/applicator stick. 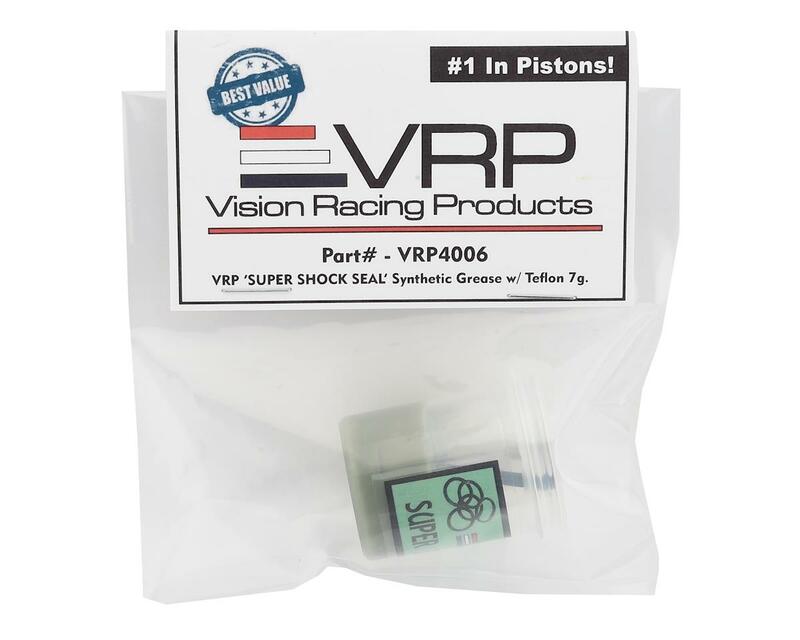 The best o-ring gease and seal I have used over the years. It has a slightly thicker consistency than most every other o-ring grease which makes it stay in place and make the o-rings smooth, yet form a seal. I ran a full 3 day race with at least 8 or 9 runs in practice, plus the race and when I got back home and tore the car down I opened the bottom of the shock and there was still grease in it, and not just a tiny, tiny bit, but enough to see that it still had a seal. Plus when I inspected the spring cups and the inside of the shock boot, they were dry as a bone, ... just had some dust. Definitely made a big difference. Smooth as butter, yet stayed in place.